One of the themes of the recent Wichita mayoral campaign was the need to restore trust in city hall. Following, from April 2013, an example of how city hall has created the trust deficit. Although this story was covered nowhere but here, it it exemplary of how Wichita city hall operates. Since then the city’s economic development director has retired, but we have the same city manager and nearly all the same council members, with one having moved up to mayor. For an update on this story, see Wichita: No such document. At Tuesday’s meeting of the Wichita City Council, I was prepared to ask the council to not approve issuance of Industrial Revenue Bonds. My reason, explained here, was that the cost-benefit analysis did not meet the standard the city has established in its economic development incentives policy. I thought I should have known about that policy. I felt bad — embarrassed, even — for not being aware of it. There’s a certain logic to their arguments. The parking garage is available to the public — at least some parking stalls. But the garage was not built until the Ambassador Hotel project was finalized. And the number of parking spots actually available to the public is difficult to determine. One analysis shows that the number of spots available to the public is zero, although the city says otherwise. So the next day I sought to inform myself of this policy regarding the cost-benefit ratio for the city’s debt service fund for downtown projects. I found a document titled “City of Wichita Downtown Development Incentives Policy” as approved by the Wichita City Council on May 17, 2011. It doesn’t address cost-benefit ratios for any funds, at least by my reading. I don’t see either of these documents supporting what was stated by two top city officials at Tuesday’s meeting, that the cost-benefit ratio of 1.3 to one requirement does not apply to the debt service fund for downtown projects. I’ve asked the city to provide such a policy document. So far, city officials have searched, but no such document has been provided. You’d think that if there is a document containing this policy, it would be readily accessible. Whether the “new” policy explained Tuesday by Messrs. Bell and Layton is sound public policy is something that should be discussed. It might be a desirable policy. But this entire episode smacks of molding public policy in order to fit the situation at hand. The city relies on cost-benefit analysis produced by Wichita State University Center for Economic Development and Business Research. The positive result produced for the general fund — the 2.62 that Bell referred to — was used to justify the public investments the city asked taxpayers to make in September 2011. We didn’t know about the unfavorable result for the city’s debt service at that time. City officials, however, knew, as it’s contained in the analysis provided to the city from CEDBR. City officials could have — if they had wanted to — explained this special debt service policy for downtown projects at that time. City officials or the mayor could have explained that part of the Ambassador Hotel project doesn’t meet the city’s economic development policies, but here’s why the project is a good idea nonetheless. 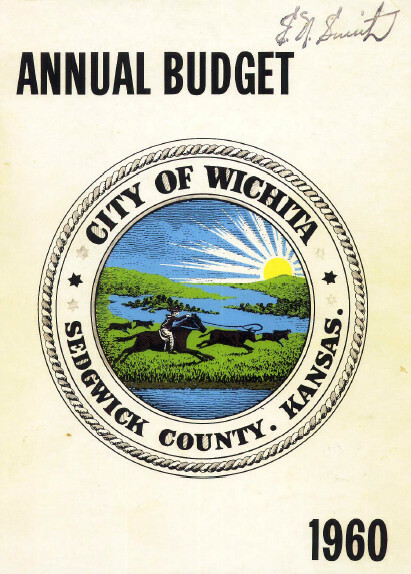 City officials and the mayor could have used that opportunity to inform Wichitans of the special policy for downtown projects regarding the debt service fund, if such a policy actually existed at that time. But they didn’t do that. And if the policy actually existed at that time, it was a well-kept secret, and was until Tuesday. I’m sure some will say that we should just shrug this off as an innocent oversight. But this project is steeped in cronyism. It is the poster child for why Wichita and Kansas need pay-to-play laws so that city council members are prohibited from voting to send millions to their significant campaign contributors and the mayor’s fishing buddy. Soon the city will probably ask Wichitans to trust it with more tax revenue so the city can do more for its citizens. The city commissioned a survey to justify this. Also, the mayor wants a dedicated stream of funding so that the city can spend more on economic development. In other words, the city wants its citizens to trust their government. But in order to gain that trust, the city needs to avoid episodes like this.